Not sure what one of those is? Well, the UFC Force Tracker has been described as a Bluetooth enabled smart device. It records an individual’s speed, power and endurance when they are training with a heavy or free-standing punching bag. It's been a heavy week already, so maybe it's time to shock your system back into good health? 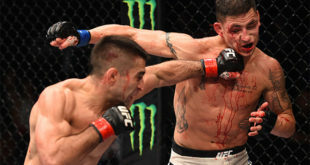 The premium sports brand is also teaming up with Black Rifle Coffee to fuel popular UFC Flight Pass show Dana White’s Tuesday Night Contender Series. 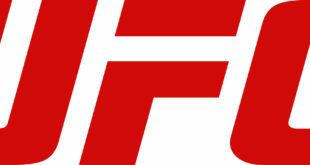 Disney’s new direct-to-consumer and international segment, along with ESPN, have reached a multi-year agreement for exclusive live UFC content on ESPN, as well as across a variety of ESPN’s TV, social and digital platforms. 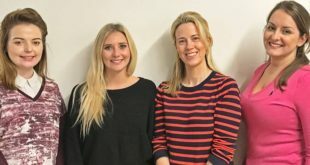 The Faces of UFC campaign will feature a sweepstakes that will be offered to UFC fans aged 18 and upwards in the US, Canada, Mexico, Ireland and the UK, targeting those wanting to share their fan stories. 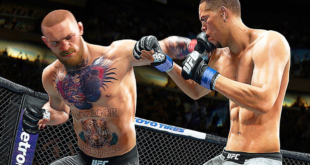 The game is billed as the most realistic UFC game ever made. As part of the extension, Monster will continue to have centre canvas and entrance logo placement inside UFC’s famous Octagon at events. 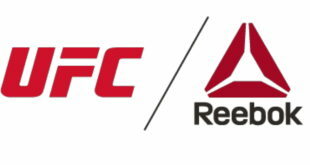 The two brands will also work in conjunction on retail promotions during UFC events. Opro is the world's largest manufacturer or mouthguards. 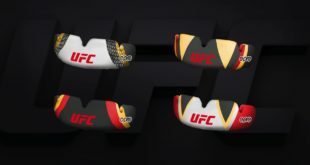 ‘With the new UFC Fight Night Collection, we wanted to give athletes product that meets the quality and performance demands that they depend on in the Octagon,’ says Reebok’s Corinna Werkle.